WoRM in Shared Space, Large Space, One-Room, Temporary Space, ...problems and common solutions. The following is a summary of the collective wisdom of Rotation educators who have had to share their classroom/workshop rooms with a Preschool or similar "other" organization. Interestingly enough, the solutions to "shared" space are also similar to those with limited space, rented space, or who must put their Workshop in a big room..
From 2001-2010 the topic of "Shared Space" and "Big" or "Rented" space was an open forum here at Rotation.org. The questions and solutions started to repeat themselves, so we decided to end the discussion and turn it into this article. (If you want to add to this discussion, see the note below). "Shared Space" has a history of being a source of problems in MANY Sunday Schools, Rotation or otherwise. Please read the post that comes AFTER this one for some perspective. Ultimately, YOUR solution will probably be a combination and adaptation of the following ideas suited to your own particular spaces. Some workshops are easier to adapt into a shared space than others, and some preschool rooms are easier to adapt into certain types of workshop! It should also be said that it is WIDELY believed among Rotation fans that CREATIVE LEARNING ENVIRONMENTS ARE NOT OPTIONAL in the Workshop Rotation Model. They are an important aspect of the children's perception, are an aid to learning, and are a SIGN to your parents and visitors that "this is not your grandfather's Sunday School." 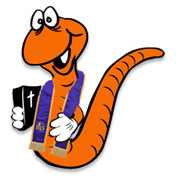 There have been churches where Rotation has "failed", and one of the common issues in those failed WoRMS is the lack of creative workshop environments, shared or otherwise. To put it another way: GO BIG OR GO HOME. Personalities and territorial disputes aside, the problem of shared space seems to center on two issues: walls and furniture. Here is the collective Rotation wisdom on both. Preschool rooms have all sorts of cute preschool-ish decor, bookshelves, artwork and buletin boards that older kids don't want to see, and don't HAVE to see. The Rotation solution is to Creatively Cover Your Walls. Create muraled dropcloths, painted tyvek wrap, and colorful bolts of fabric, and attach them to rods/pvc. The pvc is a great way to store the cloth/murals, and it keeps your walls from sagging too much. These 'fabric' walls can be either draped down from hooks on the wall, or stretched across preschool cabinets, etc, to temporarily hide such from your students. It can look awful if you don't think artistically, and if you poorly and hastily drape their stuff. The key is to do it well, and attach hardware where appropriate so that your "walls" can be quickly erected and look good. Construct a "room within a room", such as a tent, in the middle of the shared space which can easily be assembled or raised. This could literally be a large poled tent that teachers and students can stand and move around inside. Or, it could be a tent that can be quickly hooked to hardware on the ceiling and into the corners. Put your supplies on rolling baker's shelving/carts. Cover these with cloth when not in use. These heavy-duty carts can also form an anchor point for some wall-hiding fabric. For certain workshops, bring in a rug and pillows. Having to transform several preschool rooms into rooms for various ages of Sunday School kids is a challenge. Preschool rooms have short furniture, ...and some of it will have to be moved. Rotation churches sharing their space with preschools have had to establish policies of "who moves what". Especially if they "rent" your space, and the teachers are being paid, it is not unreasonable to require them to MOVE some of their furniture and materials on Friday. Doing so will not only help your volunteer teachers prepare on Sunday, it will encourage the Preschool teachers to think twice about how they arrange their space, -as it may or may not cause them extra work on Friday. 1. Tell the Preschool that they must stack their chairs on Friday, so that they are out of the way. Tables are a lot easier to move when chairs aren't in the way. a) Stools can easily be shoved under the table for certain projects. A wheeled pallet makes moving stools and chairs easy. 3. For a Video Workshop in shared space, create a "room within a room" (see ideas above), and drop in a rug and lots of pillows. Alternately, bring in "director's chairs" which are relatively light weight and can be folded and removed to storage during the week. 4. Drama Workshops as well can be done in "tents" or on a large rug so that chairs are a non-issue. 5. Invite your students to help transform the room, and put it back together for Monday. 6. Think about which church groups or workshops are assigned to certain rooms. A computer lab is often easier to flex into a preschool space than an art workshop because for art you need appropriate height tables, but for computers, you could purchase a couple of smaller rolling tables. 7. Add some new more flexible furniture in certain rooms. For example, in the workshop where you know you'll need "big kid" tables, purchase the newer style plastic lightweight rectangular folding tables or ROUND tables (which can easily be rolled out) in the preschool classroom during the week for quick access on Sunday. These can be stored behind cabinets so they don't present a falling danger, or creatively moored to the wall during the week for quick access on Sunday. Make sure the preschool room you need to adapt for older kids has STACKABLE chairs. Many churches are stuck with the old wooden ones. Newer colorful chairs can more easily be stacked and moved. Folding "directors" chairs are fun, lightweight, and can be folded and safely stored on hooks in a corner of the classroom, or on a chair cart. The Cooking Workshop is often moved to the church kitchen. The Computer Lab can be in the church library or church office. Some churches have even put their computer labs in the hallway, because the kids don't pay attention to the room, just the screens! Video is sometimes moved to an "all classes" location, rather than a dedicated workshop. Drama can take place in the Sanctuary if it isn't being used, or a chapel, or stage area. Each of those spaces can be transformed by many of the shared space solutions mentioned above. One church asked their adult ed classes to use the preschool rooms, because all the adults needed to do was bring in a circle of chairs and a coffee pot. If you have a new and different solution to share, please add it here. If you have a question, please post it in the Supporting Members Lounge "Help!" forum. Throughout the 10 years that we had an open forum about Shared Space, one constant theme was expressed: the tension between the Church's needs and the Preschool program's needs and personnel. Permission and territory once given are difficult to take back. Personalities are involved. Turf issues rear their ugly heads. And then there are those competing visions and needs. If your church has not experienced those things, count yourself lucky. They are real, and often painful. Some churches have simply had to re-assert control from their "renters" over their facilities by establishing policies. Others, feeling the preschool was "a mission," had to tread more lightly. What's interesting is that the leaders and teachers of these two (often) competing organizations often have the same needs: to creatively organize their space to excite children. Some Rotation churches have found that the creative design of some workshops, and possible transformations (such as the tent concept) are WELCOMED by some preschool teachers who are also looking for ways to transform their space. We also know from years of experience, that churches with spaced DEDICATED to a particular workshop, such as, art or computer, are often approached by the preschool program who would love to "get in there" and use that space as a break from their classrooms. Indeed, many Rotation churches get to "borrow" the computer workshop which the preschool was able to find a grant for. A lot of preschool curriculum is CENTERS-BASED, which is not terribly far from the Rotation concept. Which is to say.... TALK TO EACH OTHER. They may be ready for some changes too. Or in lieu of that, seek CREATIVE ACCOMMODATION of each other's efforts to shape children's lives. In many Rotation churches, the groups that "also use the building" often experience appreciation for the newly creative spaces that Rotation can bring. Not a bad advertisement either! That said... It's not always easy to settle Shared Space issues. After much discussion and frustration, one of Rotation.org's earliest and most respected lesson contributors weighed in on the subject. HER Workshop Rotation Model battled the shared space issue. This came as a surprise to many of us, because her church was held up as a model for the Model! Below is her contribution to the discussion. Avoid shared space like the plague of Egypt! I have spent months trying to assert the needs of the children of our faith with the needs of the preschool, adult day care, boy and girl scouts, women's league, AA, even TOPS (weight loss group). It is especially difficult to share with groups that are in there 5 days a week. Some of our Sunday School classes feel like God is temporary. God just "borrows" the room from "Miss Cathy" and all the children whose names are plastered all over the walls. What does this tell our kids? We eventually reclaimed rooms for our Workshops. Our workshop rooms make a tremendous contrast. These rooms belong to us. The children feel it and are proud. These theme workshop rooms say "this is an exciting place to be". We still share these workshop rooms with the Adult day care, but it is on our terms. They remove furniture on Friday evening. They put up their stuff in designated areas only. I often felt like the bad guy. BUT, if the church puts a higher priority on being a community center than its responsibility to the children as a mission of the church, then don't be surprised if in the future there are no grownup children in the churches that have become the community centers. That's my little sermon. I looked at our Preschool program's stats and only 10% of the preschool families are church members. We are underwriting a "service" for our community - a very well-off community. But at what cost to our own programs and children? "The issue really isn't space, it's mission. Space issues need to be tackled within an understanding of the congregation's primary mission: evangelism. Preschool programs and Scout troops do not evangelize. They are wonderful groups, but they do not carry the church into the next generation. Thus, in cases where co-existence is difficult or impossible, the Sunday school must be the church's top priority. The irony is that if the Sunday school isn't the church's priority, many church buildings may indeed become community centers in the next generation or two." Shared space is an ongoing struggle but we must continue to assert the need to evangelize children as a most important mission of the church. Don't let anyone bully you into believing otherwise. We are only limited by our conventional thinking. "Workshop" is not a room. It is a concept about teaching, learning, and how our surroundings affect our students and support our teachers. "Rotation" is not about moving from one room to another. It's about moving from one medium and teacher to another. Yes, it's easier if you have dedicated workshop rooms, but only easier, not essential! I do not believe there is any church space that cannot be used for Rotation. I've seen computer labs in hallways, and drama workshops behind the curtain in fellowship hall. I've seen a one-room Sunday School transform each week into a different workshop. They did it by creatively solving their furniture and decoration concept, and coming up with QUICK TRANSFORMATIONS. I've tweaked Rotation schedules to fit into space "as it became available", and often transformed one workshop into another half way through the rotation. That's what I love about Rotation. It gives you an adaptable format that also makes you think outside the box (and in this case, box can equal "dedicated room"). The only truly DIFFICULT SPACE I've encountered (both personally and vicariously) was when several workshops/classes were trying to use the same big space. NOISE is difficult to work around. Kids are noisy. Good learning is often noisy. So learn to look at "other" spaces differently. What about the church office, for example, the kitchen. The kids' parents ARE PAYING FOR that space afterall. I've even held the occasional workshop in the pastor's office (led by the pastor!) And look at going outside. Yes, you might have to modify the art workshop, or spread sheets over the secretary's desk so the kids don't mess the paper. You might have to conduct the first half of your workshop in the sanctuary, -until the choir comes in, then move to fellowship hall to finish. But kids love to move around! Supplies can be put on wheels. "Tents" and fabric are cheaper than building campaigns. Ultimately, having to think outside the box of rooms might just also get you thinking outside the box on your lessons and OTHER programs as well. Necessity is often the mother of invention. That's how the Rotation Model got started in the first place.